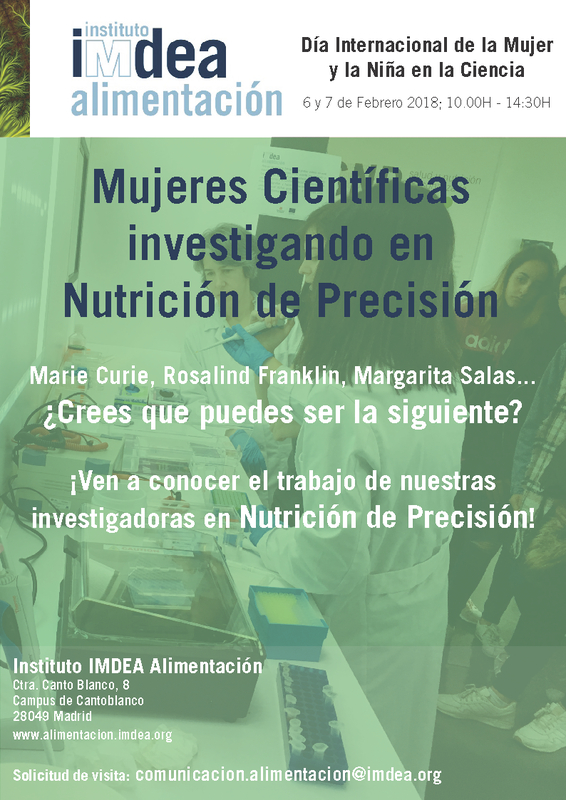 On the next 6th and 7th of February, in the context of the International Day of Women and Girls in Science, IMDEA Food will organize guided visits to the Institute. During the tour visitors will have the opportunity to learn first-hand the experience of women researching in different scientific areas at IMDEA Food. As part of the visit, an informal "discussion space" will be developed to discover some of the barriers that women and girls face in the development of their scientific vocations. Come and meet the work of our researchers in Precision Nutrition!